Whenever I go to the grocery store or to my local coffee shop there are so many different kinds of coffee to choose from! From dark to light to espresso roasts, Italian, Guatemalan, whole beans, already ground beans…it’s overwhelming to say the least. How do I begin to choose the right one? To create a truly great cup of coffee or shot of espresso you need two things: high-quality equipment and high-quality coffee beans. The type of bean you use combined with your chosen equipment is the determining factor to the taste, flavor, and satisfaction you get out of your cup of coffee or shot of espresso. BeverageFactory.com may specialize in all things Espresso Maker, Coffee Maker, and Coffee Grinder related, but we also know a thing or two about the bean. We know that the key to getting the most out of your coffee brewing equipment is buying the coffee beans that fit your palate. Maybe you are a little unclear when it comes to dark roasts, light roasts, Kenyan or Sumatran. No worries, my friend, we will explain it all and have you picking out the flavor nuances in your daily brew in no time! There are 3 keys to unlocking the flavor of your chosen bean: first is knowing what type of bean species you are purchasing, second is understanding your beans origins and its effect on flavor, and third is learning about the different roasts and their effects on the overall taste of your brew. First thing to know about coffee beans is that there are two of them. 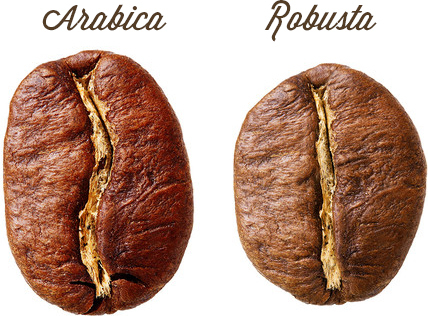 What I mean by this is that there are two distinct species of coffee beans: Arabica and Robusta. These two bean varieties are harvested differently, used differently, and taste differently. Where Robusta beans are more function over style, Arabica beans are all about style and substance. Knowing the differences between the two beans will help you purchase coffee beans whose characteristics meet your taste expectations. Like those who grow up in The Bronx may find themselves with a distinct accent the rest of their lives, where a coffee bean “grows up” will determine their flavor characteristics upon brewing no matter how darkly they are roasted or how they are brewed. Generally, there are 3 world regions where the finest coffee beans originate and each region produces coffee with unique and distinct flavors. Brews of Region 3 beans are truly enjoyable with dark chocolate, caramel, and other rich desserts. Or enjoy a cup on its own; after all, it is an independent brew! Key #3: What’s In a Roast? Familiarizing yourself with the different types of roasts and their characteristics are the fastest and easiest way to predict the flavor of the coffee beans you are about to brew. Along with the bean species and bean origin, the roast is heavily responsible for determining the aroma, acidity, body, and flavor of your chosen bean. Familiarize yourself with the following Roasting Rules, and you will be on your way to becoming a true coffee connoisseur! Rule 4: Dark roasts do not produce a stronger cup, but rather produce a more consistent cup. Rule 5: Any type of bean from any region can be roasted light, medium, or dark. The roast you choose, will depend on both the flavors or the feel of the coffee you prefer and what kind of coffee you are brewing. For example, dark roasts work very well with espresso. Within the general light, medium, and dark categories there are sub-categories of roasting and the roast type is usually associated with the region. So whoever thought each little coffee bean could be so complicated? 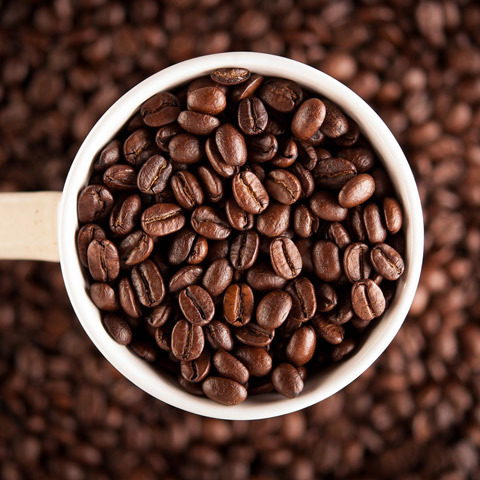 Hopefully, this brief introduction clarified a few things about coffee for you and helped you understand what the terminology of the bean means or more importantly how it affects your cup of coffee. After all, the goal has been and always will be delicious home brewed coffee and espresso. Understanding all you can about your coffee beans is one of the most important keys to succeeding in your coffee quest. Coffee & Tea Coffee Beans, Guide. permalink. How Do I Properly Age Wine?